Definition: An interdenominational organization that exists outside of the local church or denominational structures, usually in order to facilitate or provide support for various ministry efforts. Especially in the realm of evangelism and missions. Before you shut me off completely let me say that I am not vilifying all parachurch organizations. They can be helpful and much good has been done through many of them for the sake of the Kingdom. Please hear me on that. What I am concerned about is the need to be extremely cautious in the realm of parachurch and some encourage thoughtfulness as we consider their role in ministry, especially “Great Commission” work. The existence of parachurch organizations, assisting the push for missions, have exploded in the past 100 years. Passionate men and women within the body of Christ have seen huge holes that needed to be met. They looked at the needs in the world for the propagation of the good news of Jesus Christ and they were determined to do whatever they needed to do to get it done. The question of course that we must ask is if proclamation is so important, why was it not already being done? Was God waiting around for someone with the correct organizational skills to pull something together? The answer is no. I want to argue that the exponential growth of parachurch entities is, at the end of the day, an indictment on the church. Local churches, not organizations, were to be the vehicles which would carry the Gospel to the ends of the earth. Christ bestowed his church with authority (Matt. 16, 18) in order to fulfill its mission on the earth until his return (Matt. 28). The church was founded upon the teaching of the Apostles and Prophets (Eph. 2:20) with Christ as the cornerstone. When Jesus commissioned the Apostles in Matthew 28 and Acts 1, he was commissioning the church which would be founded on their testimony. As they went out on their mission they went about establishing churches and appointing leaders who as they proclaimed the Apostles teaching would bear the same authority. 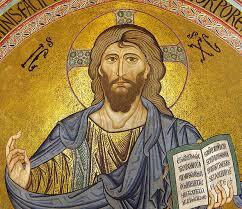 The authority of the church is the authority of Christ who is its head and it wields that authority for the same purpose as Christ, to reconcile all things to himself to the glory of God (Eph. 4:15, Col. 1:20). We see churches in the book of Acts wielding their authority to commission Gospel workers and to make decisions on matters of faith and practice as the Gospel went forth to new areas (Acts 13, Acts 15). As churches were established as a result of this work, we see a strong emphasis that appointed leaders, elders, hold fast to the message that was delivered to them (1 & 2 Timothy, Titus). This was extremely important because to lose the message was to lose the apostolic authority and even the hope of the Gospel. For better or for worse, the church was to be the vessel of the Gospel and the local church to be the dispenser of that Gospel into the world. Sadly, throughout the history of Christianity the church has often misused and abused its authority and has neglected and at some times forsaken the mission that it was given that authority for. During the Protestant reformation there was a revival in the understanding that the authority of the church is not found in a mere man, but in a message. The word of God, given to us through the apostles and prophets. Once the church began to be reformed by this the church was also awakened to its mission that it was given authority for. Many churches were ignited in the years following the revival of biblical, apostolic authority to be about the mission that they had been given. But as happens, the pull of sin and of the world has its influence. The church began to see the mission but it became content to contract out the Great Commission to those that were passionate about it, experts if you will, forgetting that the mission was not theirs to delegate but to own and pursue. Churches were given apostolic authority for an apostolic purpose. The church as the “colony of heaven” was a sent entity, bearing through authority of the King, through his Gospel, the authority to go into the world and command fallen image bearers to repent and believe in the good news. The church wasn’t getting the job done. The church needed another reformation, one that oriented the authority it had been given toward the mission it had been given. But most reformation mutated and was cut from the body. Missions became the work of parachurch agencies and organizations. Organizations with no ecclesiastical authority sent on a mission that cannot be sustained without the exercise of that authority. The message of the Gospel, which is the generator of the authority of the church, was now being handled by structures and entities with no ecclesiastical structures and generally not the plethora of gifts and personalities found in a properly functioning local church. What this led to often, and continues to, is organizational leadership that out of a genuine desire for fruitfulness is willing to sacrifice Gospel faithfulness for the sake of the mission. The problem is that with a decrease of emphasis on doctrinal purity comes an emptying of authority which leads to cloudiness of mission and eventual capitulation. The local church sends money and people to these organizations, all the while using the golden bowl of Kingdom authority as a candy dish. Like many Christians who give and never evangelize, the church feels like it is doing its mission, when really it is hiring out its mission to someone who has no authority to carry it out. Doctrinal ambiguity becomes the mark of many of these organizations, I know this from experience, as they claim that doctrine is up to local churches with ecclesiastical leadership and their job is support and mobilization. They are partly right, but the problem is that the churches are not using their authority to do apostolic mission and the organizations are doing mission without apostolic authority. The truth is, individuals are not given authority, the church is given authority, not to loan out, but to use. The problem balloons until mission is no longer mission and the church then eventually views its authority, God’s word, as an unused part of the body, an appendix if you will, so when it starts to pain them they get rid of it and still imagine that they are whole. But they quickly die, because they have no reason to live and no heart to keep them alive. Organizations tasked with mission without apostolic authority will spread the bounds wider and wider until the mission is emptied of its meaning because authoritative message has been lost because there was no authority in place to guard it. The Church, whose authority and mission is wielded and carried out by local churches, needs a reformation where authority, which depends on the purity of apostolic doctrine, and mission, which is the spreading of apostolic doctrine, come together. The authority of the church was not given to be loaned out, but to be spread. The mission cannot be carried out apart from that authority. Therefore, I will boldly say, any organization that does not submit itself to the doctrinal oversight of a specific church is illegitimate and damaging to the Kingdom of God, undermining the authoritative means that Christ established for the display and proclamation of the Gospel of the Kingdom. Churches need to be renewed in their knowledge of why they have been given such great authority to steward and parachurch organizations need to realize that without being under that authority they can have no long term hope of sustaining the great mission of the church. For it is indeed the task of the church to guard the apostolic message (doctrine). And if we lose the apostolic message, we have no apostolic authority, which means we have no right to pursue apostolic mission. The very meaning of parachurch is that they exist outside of this apostolic, ecclesiastical authority. With inclusion, rapid growth, and aggressive mobilization often being the aim of these organizations, without the protection of ecclesiastical authority the message will quickly begin to decay which leads to an unfocused mission, which leads to ruin of all sorts. This is the problem of parachurch.